Swipe heat control and gloss-creating plates. 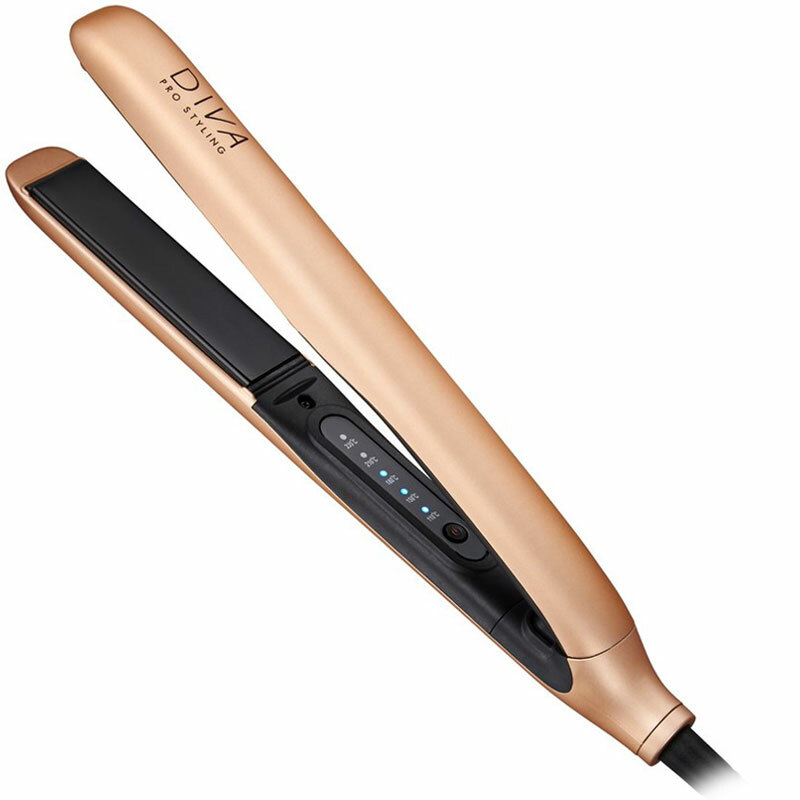 The Diva Precious Metals Touch Straightener features floating ceramic plates infused with macadamia, argan oil & keratin that give a high gloss, sleek and shiny finish to hair. They have a swipe temperature control panel for easy digital selection of heat between 110°C and 235°C, letting you choose the perfect temperature for any hair type or texture. Power comes via a 3-metre cord that's long enough to give you loads of freedom and it's fitted with a UK/EU plug so you can use it throughout Europe. 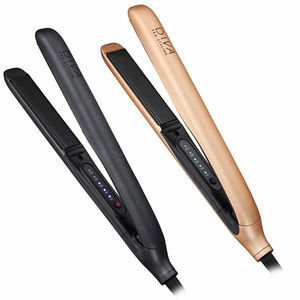 The Diva Precious Metals Touch Straightener comes in 2 colours: Rose Gold or Titanium. 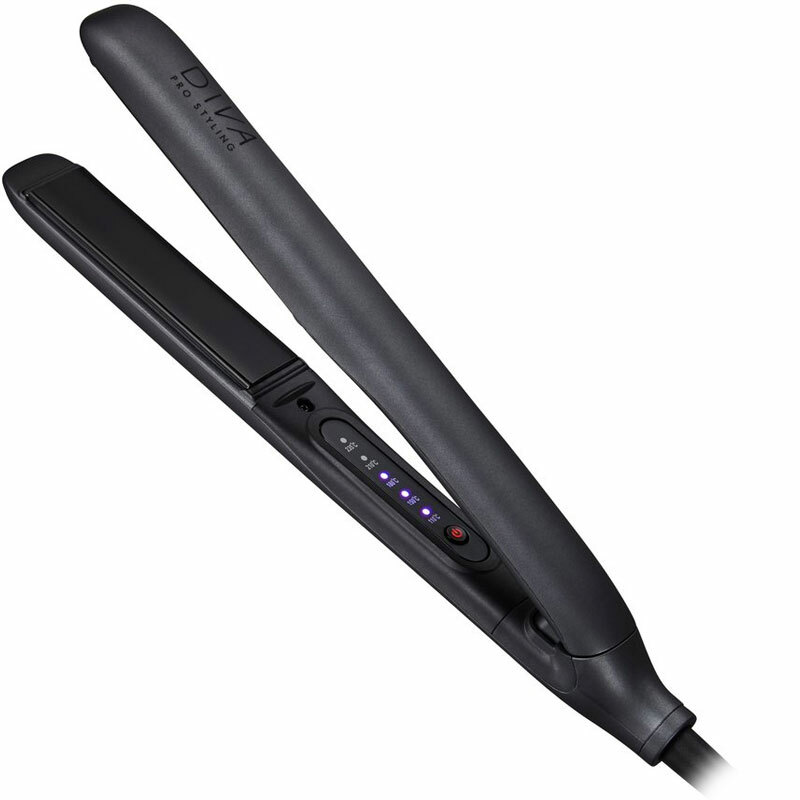 £71.99 (inc. VAT) Why no VAT? We're a trade wholesaler and quote our prices without VAT to help our VAT-registered customers understand the true cost of a purchase.